Sci Fi fans who don't care about character development or language. Not sure. Literary fiction or a classic. 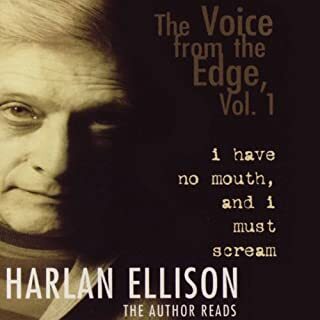 Who would you have cast as narrator instead of Harlan Ellison? An actor who doesn't parody what already seems far-fetched. Why would Harlan want to parody his own work? Maybe he doesn't realize he's over doing it. An actor might have known how to make this material seem less ridiculous. What character would you cut from The Voice from the Edge, Vol. 1? I wouldn't recommend these stories. Although I'm impressed by their originality and by the boldness of exhibiting intense sexual drives so explicitly and tastefully, especially with her female characters, ultimately, for me, the characters and the stories are too thin. The degree to which Machado sees sexuality as a defining characteristic of men and women makes her characters feel one dimensional (to me). I wanted to see other sides of her characters as the situations and the fairy tale dimension of her storytelling is often intriguing. Machado writes well, but her obsession with erotica becomes boring/annoying. 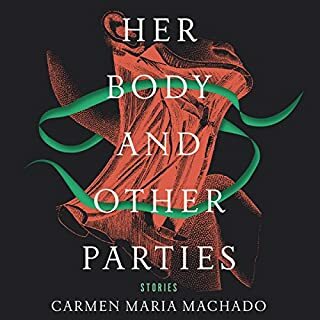 What could Carmen Maria Machado have done to make this a more enjoyable book for you? Deepen her characters/make them less one dimensional. 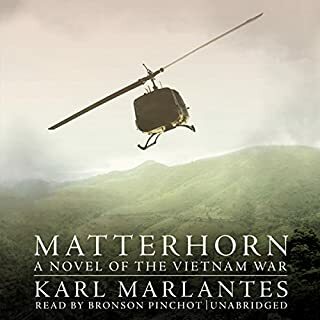 Where does Matterhorn rank among all the audiobooks you’ve listened to so far? I'm putting Matterhorn at number one--and that's significant because I've listened to hundreds of audio books. The book is amazing--so many characters from different parts of America and Marlantes nails them all. And then the performer has perfect pitch--is able to bring every single one of these soldiers to life. I couldn't stop listening. What other book might you compare Matterhorn to and why? War and Peace comes to mind because, like Tolstoy, Marlantes moves from the thoughts of one soldier to the thoughts of another, using omniscience masterfully. While developing the interiority of many, many characters, he also manages to bring forward a single protagonist, a hero if such a thing is possible in such a messed up war. It's a long book--the battle on Matterhorn is hundred of pages long. If you call that a scene, I guess it was my favorite. Couldn't quite manage that because of the length, but I did stay up until 4:30 a.m. toward the end of the book.